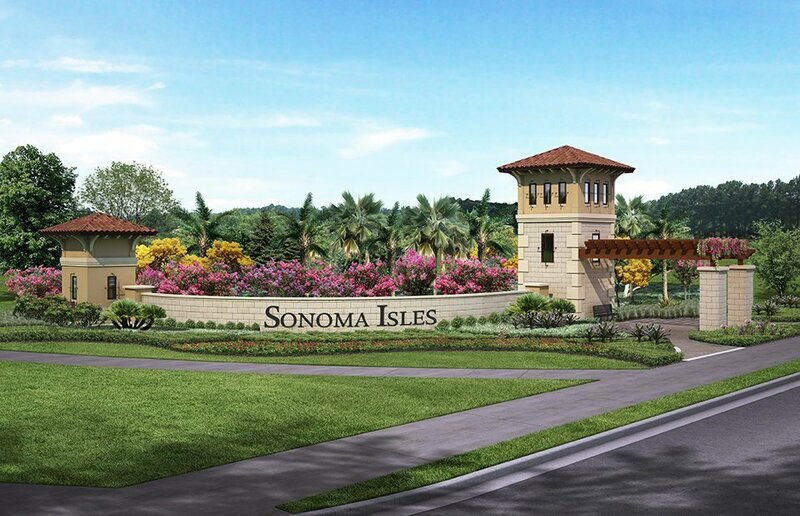 Sonoma Isles is a DiVosta built resort style community and one of the newest developments in Jupiter, conveniently located just west of Florida’s Turnpike, off of Indiantown Road. The community offers eight floorplans with homes ranging in size from 2,500 to 5,200 square feet and two to seven bedrooms. This alluring community offers elegant, luxurious and convenient living. Enjoy wonderful amenities including a resort style swimming pool, clubhouse with catering kitchen, barbeque area, fire pit, tennis court, fitness center, activity room, tot lot and gated entry. The community is also just minutes away from an 18-hole golf course, world class shopping malls and many dining and entertainment options. Zoned for A rated schools.